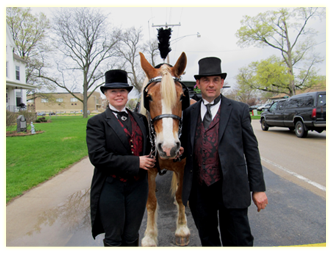 Formal funeral coaches are traditionally provided with elegant white horse teams and coachmen in formal attire. 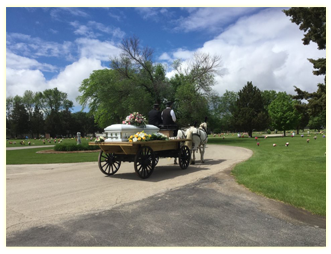 Horse drawn funeral coaches can be transported to any location in the greater Chicago, northern Illinois areas. Noble horse has provided formal coaches for over thirty years. 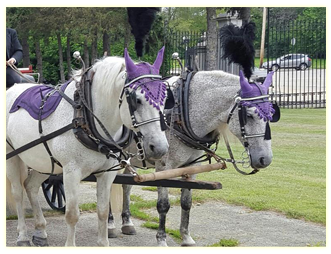 Noble Horse can provide magnificent white horses for memorial funeral events. Military funerals, history re-enactments, film & photography.